Giving Kilgore a heart attack // Beauty booty // ASK! Whew! This weekend was a fun one! Went on a bit of s hopping spree at Sephora, and picked a few much needed items, and then one splurge item. I LOVE that place. After Sephora's (I was in there for a record breaking 40 min. Quickest trip ever I believe! ), it was off to Ikea! Boyfriend and I spent a good 3 hours in there, and came out with this closet! We built it the same night. I finally have some space for my clothes! I was thinking to do a Q & A with my readers - ask me anything you want (while being appropriate of course). Either ask below, or jot me an e-mail! Ps. Just added a LOCKHEART to my SHOP! The YSL gloss must be wonderful!!!! 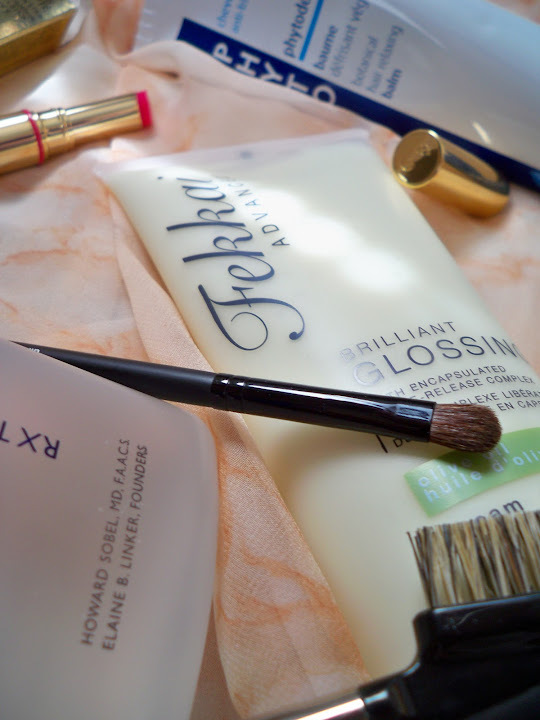 I use that hair gloss from F.F...Amazing! That YSL lipstick looks fantastic. I bet it looks so fresh and dashing! 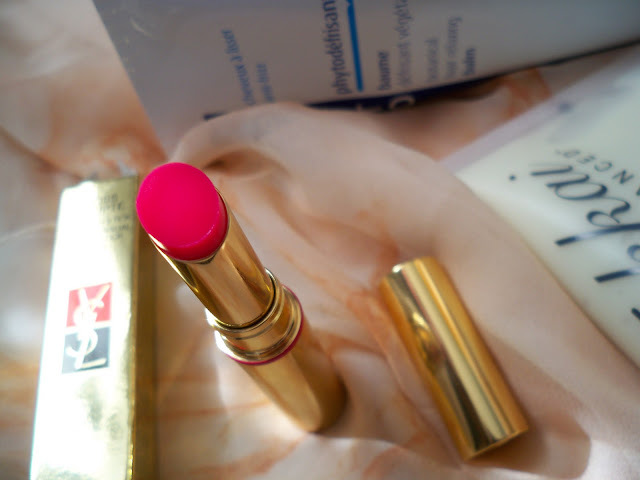 love ysl lipstic so badly! why the hell is it so expensive in my country?! ah i love sephora, i always end up buying things that i don't even need in there haha! WOW! 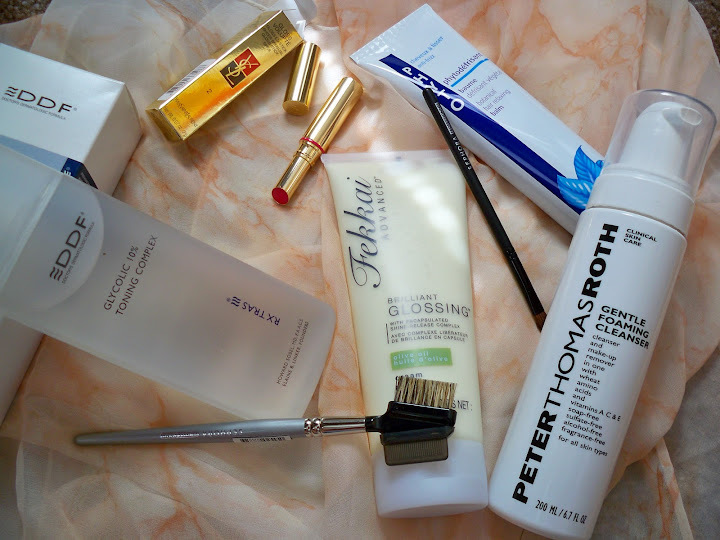 Beautiful beauty purchases. So jealous you can visit Sephora. Wish we had a store here. that pink lip gloss looks amazing.. mmmm nothing suits lips better than a nice pink gloss! love it! everytime i go into Sephora i end up splurging. i love that YSL color! Oooh, I think I was looking at that exact same shade of YSL lipstick recently - now I wish I had bought it! You need to feature it in a future blog post! Ikea is such a wonderland of a place - I love how cheap and useful everything is in there. 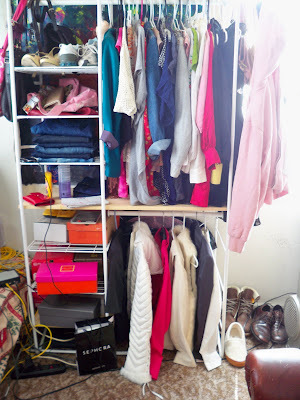 I think I need a new closet as well as I'm very rapidly running out of clothing space! Your clothing collection looks very bright and cheery btw! that pink lippy is vivacious! I have to totally stay away from Sephora...I'm a junkie! What can i say? Love the YSL! nothing can beat ikea, my new place is kitted out with so much of their stuff it looks like a showroom!